Without a doubt, I'm rooting for Gonzaga to win this year's NCAA's March Madness tournament. If you're fellow Canadian, you should be too, for two good reasons: Kelly Olynyk and Kevin Pangos. Olynyk, a seven-foot forward from Kamloops and Pangos, a point guard from Holland Landing, Ontario, have led Gonzaga to a stellar 31-2 record. Quite possibly the best team in the United States is being powered by two Canadians and that's pretty sweet. So it's Go Gonzago Go in this household, but I'll also be cheering for Michigan and UNLV. Mississauga's own Nik Stauskas plays for the Michigan Wolverines and is one of the best three point shooters in the NCAA. UNLV's Anthony Bennett hails from Brampton and is a projected top-five NBA draft pick. Lots of Cancon in this year's tourney, which gets underway in less than an hour. If you want to hear my brother and his buddy pick the winners, listen to episode 5 of Fantasy Sports Hookup. 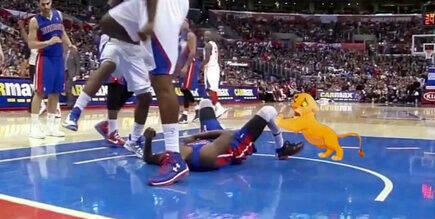 If you're an NBA fan, you've already seen it a dozen times. 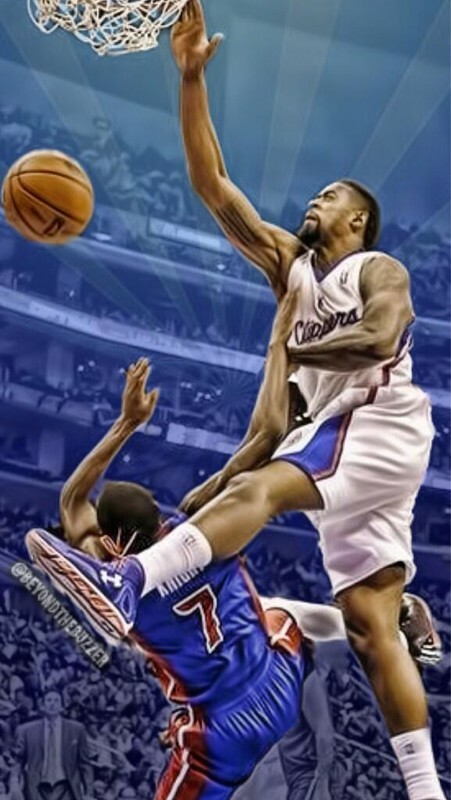 Last night, during the Clippers / Pistons game, DeAndre Jordan posterized Brandon Knight with an alley-oop slam that... well... you've got to see it to appreciate it. Over on Reddit, they're having fun with it. And finally, the artist's rendering of the murder itself. The New York Section I Class AA boys basketball championship game between New Rochelle (N.Y.) High and Mt. Vernon (N.Y.) High. took place yesterday. You won't believe how it ended. 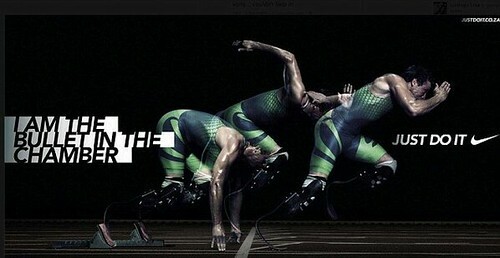 In retrospect, this "Bullet in the Chamber" Nike ad featuring the "Blade Runner" Oscar Pistorius is rather unfortunate. Oscar Pistorius has been charged with murder after allegedly shooting and killing his model girlfriend Reeva Steenkamp at his home in South Africa. This tweet from Reeva Steenkamp yesterday is also retrospectively heartbreaking. Steve Nash is far and away the greatest basketball player this country has ever produced. This is Nash country, so we all want Steve Nash to win an NBA title, right? That was a slam dunk when he was with the Suns and Mavs, but Steve Nash is now a Laker. That's a tougher pill to swallow. To root for Steve Nash is to root for the LA Lakers. Yuck. This is the Steve Nash Dilemma we're all faced with now. We have to hold our noses and root for another Lakers NBA championship. The man is greater than the sum of his parts. 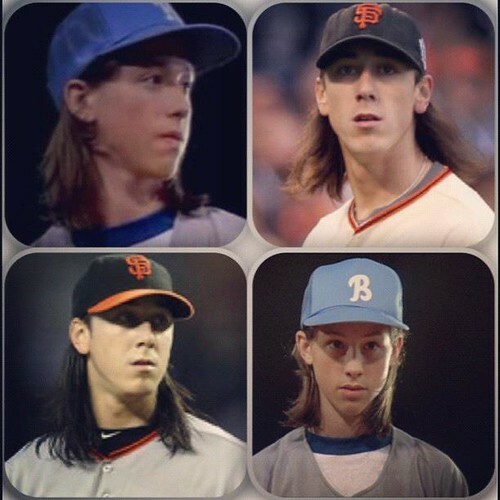 Every time I see Tim Lincecum pitch for the San Francisco Giants, I think about Mitch Kramer in Dazed & Confused. The resemblance is uncanny.